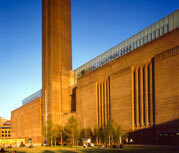 Cleansing Service Group’s emergency spill response team faced a wet start to the New Year after being called in to clear over 450,000 litres (100,000 gallons) of contaminated water from the basement of London’s iconic Tate Modern gallery. The gallery’s basement sprinkler system was accidently activated for several hours, sending water cascading into the space where it was contaminated by residual oil from empty storage tanks. The basement had to be cleared quickly so that contractors could start work on turning the area, which also houses an electricity sub-station, into additional exhibition space. The contaminated water was taken to one of CSG’s processing facilities, where the oil was separated out for re-use as a low-grade fuel, and the water given additional treatment to make it suitable for discharge into the sewer.